Drawings of the different characters from the film are shown that depict life after the events of the film. 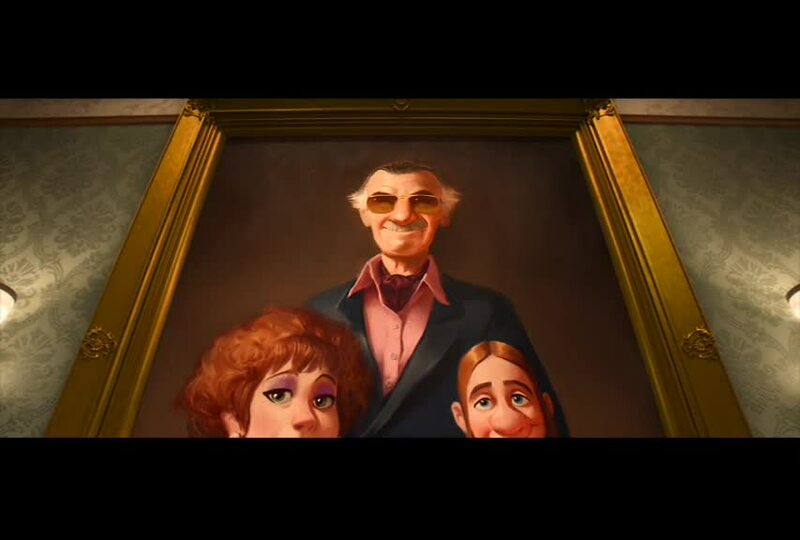 We see Fred in his house looking at a family portrait talking at his father (who looks like Stan Lee) and says he wishes he could have been better. Fred then touches the portrait, which opens up a secret room with gadgets and suits. We then see Stan Lee appear behind him and we learn he is Fred’s father. Stan Lee holds up a pair of spandex underwear and they find they share the same method of underwear use (front, back, inside out, then front to back). They hug, and Stan Lee says they have a lot of catching up to do. We then see a final credit that reads “and Stan Lee as Fred’s father”. Note: Under the “Additional Thanks” section, we see the text “Thanks Andy, We Miss You.”. 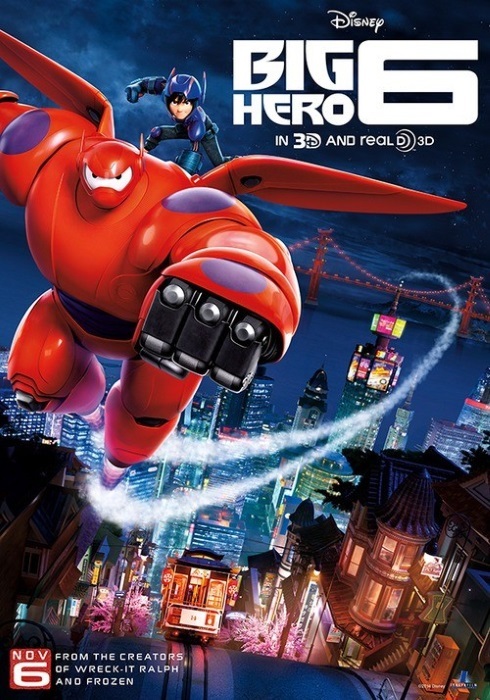 Was seeing Big Hero 6 in 3D worth the cost?